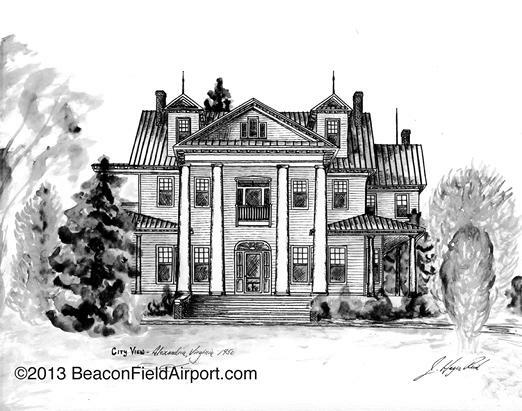 High on Beacon Hill stood the landmark City View Mansion, a 25 room Greek Revival style residence. Situated on the east side of the airport property, the home stood from 1918 to 1959. The Reid and Lehman families lived and worked there. Many house and garden renovations were completed over the years including a roof top viewing area which afforded a remarkable 360 degree observation of the Northern Virginia and Maryland landscape.